Primitive Pete in the Classroom | ed. tech. for. me. Below is a list of links, videos, and other resources for each of the five tasks presented in the Primitive Pete in the Classroom session at the 16th Annual Technology and the Classroom Conference. 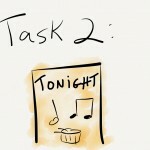 These are in listed in order of the five tasks, and may include links not discussed in the live presentation. P.S. The content below is still being updated. Please watch for the full version coming soon! 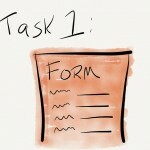 Task 1: Distributing and collecting forms electronically. SCENARIO—Your principal hands you a piece of paper with a form on it. It’s a form the school has used for years to collect information from the parents. She says because of budget cuts, they can’t afford the bulk rate mailer anymore, so instead they’re going to pay you, a fully salaried teacher with benefits, to design an electronic version that is somehow distributed and returned electronically. The data from these forms will need to be collected and analyzed after they’re returned. Why is this bad? Form elements move about the page and the page formatting changes, depending on how the user fills out the form, confusing the user. Also, some fonts may not be available on the user’s computer, causing the form to display poorly. So why does Pete do it this way? Because it’s fast and easy, but not good. 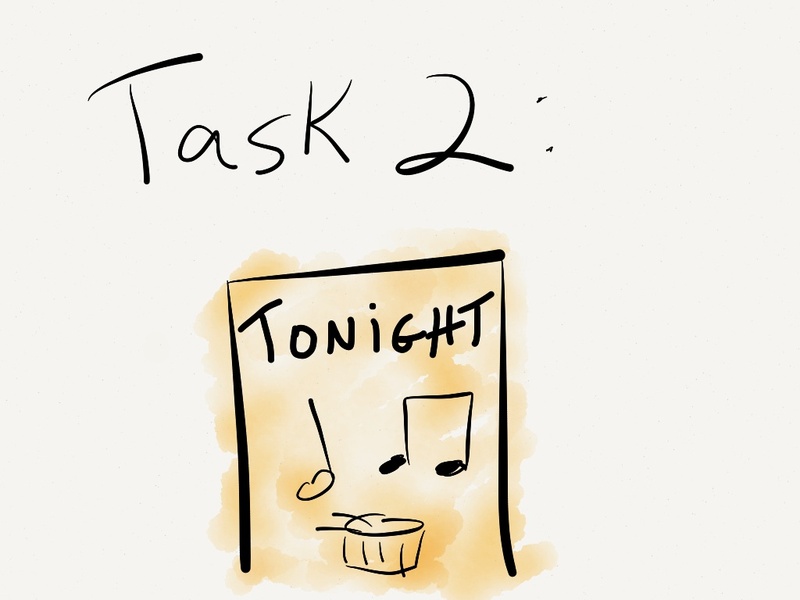 Layout stays put–tables can be locked into place, preventing change. Form elements are a little bit finicky, except maybe in the absolute newest version of Word. But, if used correctly, the user can fill out the form in a way that’s familiar, like a web page. Fonts are still an issue. PDF format has been available since 1993, and has been more or less the standard for more than a decade. SCENARIO—You’ve got a big event coming up, like a concert, an art show, a big track meet, etc. You need to create a full-page ad that will be posted to bulletin boards and taped to doors, much to the chagrin of the janitors. You’re not necessarily in a big time crunch, because the event is still several days away, and like any good teacher, you are not procrastinating at all. We’ve all seen posters that look like this. Plain, black and white posters, with text that’s all centered, bold, and underlined. Posters that include built-in Microsoft clip art. Pete’s posters make it seem like he doesn’t care about his students or his work, because people perceive the time and effort put into marketing is equal to this event’s worth. So why does Pete do it this way? Again, because it’s fast and easy, and/or because he does not understand the value of marketing in education. These programs include templates to base your poster on, like this one. Because these templates are usually designed by professional graphic artists, they have great visual appeal and can give your poster that professional look it needs. However, the main problem with using premade poster templates is that everyone has already seen them for years. Even if they haven’t, you can only use the template once, then you can’t really use it again. So, they’re a good place to start from, but you have to improve your skills and learn to modify templates to a point that they’re not recognizable as a template anymore. This one is going to make some of you squirm. The Adobe Creative Suite is still the industry standard for virtually all graphical work, and will likely stay that way for quite a while, so you might as well stop resisting and bite the bullet. Why is Adobe the best option? Countless reasons, but mostly because you have greater control over the visual elements, text, layering, photo editing, etc. When you design in Photoshop, essentially everything you create is 100% unique. There are brushes and patterns you can download, but the way you put it all together is all your own. Photoshop is the industry standard, and professional printers prefer working with standard file formats. These applications are very powerful, meaning you’re mostly limited only by your own imagination and your skill level. Imagination and skill level are both trainable/practicable. $199 online. This comes with Photoshop, Illustrator, InDesign, and Acrobat Pro (normally $199 by itself). The Adobe suite does have a significant learning curve, and can take longer, especially at the beginning. However, like with any tool, once you become proficient, you’ll be amazed at how quickly you can whip up a very professional-looking advertisement. People may even start paying you to do posters for their events. There are several online options, including my favorite, Aviary Advanced. Aviary offers a suite of web2.0 apps, one of which is Phoenix, a Photoshop clone. It’s not as powerful as Photoshop, but it has many of the same features and is totally free, and can even be installed as a tie-in to Google Apps, meaning they can become collaborative documents. There are several other Photoshop clones, like Paint.NET, GIMP and others, but most likely if you’re not willing to invest the time in Photoshop, you’re not going to be investing the time in those apps either. For this reason, by favorite alternative “tool” is for you to hold a “Student Design Competition.” Go out and spend $15 on a gift card to Starbucks or Best Buy, and offer it to the student who comes up with the best poster design (to be voted on by the students, but veto rights reserved by you). In this business world, this is called “outsourcing.” There’s no reason why you can’t outsource this type of work to those who not only have the skills, but the desire to do the work as well.